Pool Stains & staining caused by metals. Colored water. MOST, but unfortunately not all, staining on pool surfaces are preventable. The problem is most people don’t realize they have metals in their water. Even trace amounts of these metals (iron, copper, manganese, cobalt, silver) can cause staining. In fact there’s enough copper in ONE penny to completely stain an average sized swimming pool! Obviously, the conditions have to be right. This is where prevention & good, proper pool care come into play. 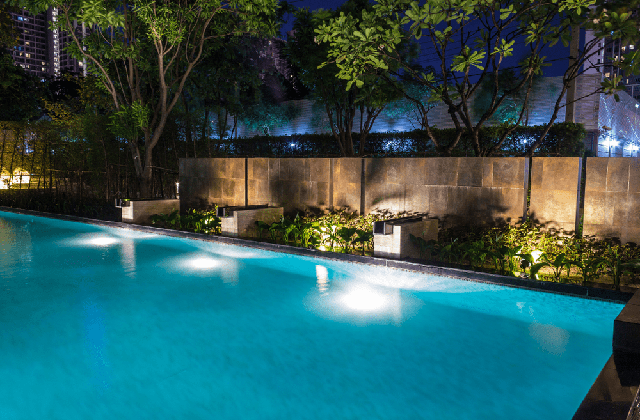 Pool removal Sydney involves cleaning up you unused pool. Click here for further information on the importance of good chemistry and pool water care.